A little less than a year ago I wrote a post about “Where Did I Come From”. 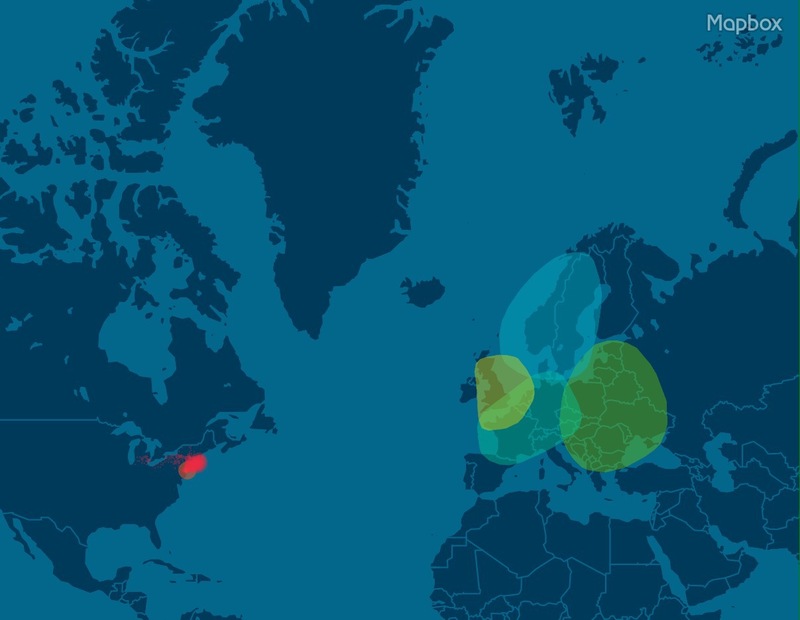 I commented on my DNA results I received on my ethnicity results on my AncestryDNA test. I received an e-mail a few weeks ago s from Ancestry saying there was an update to their DNA feature. I quickly opened the e-mail and followed the link to the Ancestry website. The Ancestry DNA web page had a new look and still at the same time looked familiar. The new feature is their Genetic Community for my DNA. My finger swiped across the iPad following my DNA Communities. I had three communities of DNA of the over 300 communities in the DNA data bank. The overview map was of the world with four lightly colored circles on the map of Europe representing my ethnic circles. A heavy yellow dot pattern covered the west coast of Norway. A red dot pattern crossed Norway from east to west with a strong pattern in the Oslo region. The third dot color of purple spread from north to south in Western Germany. These were the patterns I would expect from from the information I had received last year on where my DNA had originated. 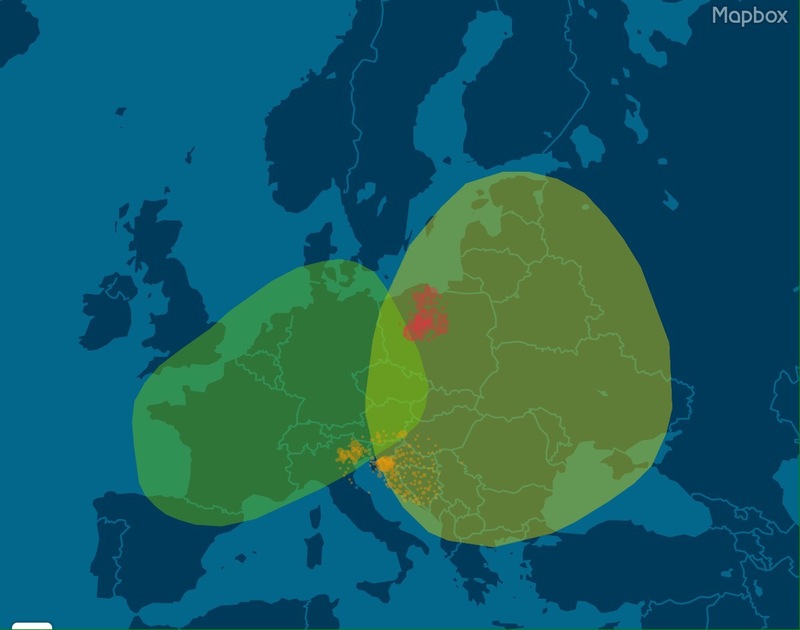 The new information is showing where my DNA was concentrated in the last 200-300 years then spread from those epicenters. My Grandfather, on my mother’s side, was an immigrant from Stavanger, Norway. 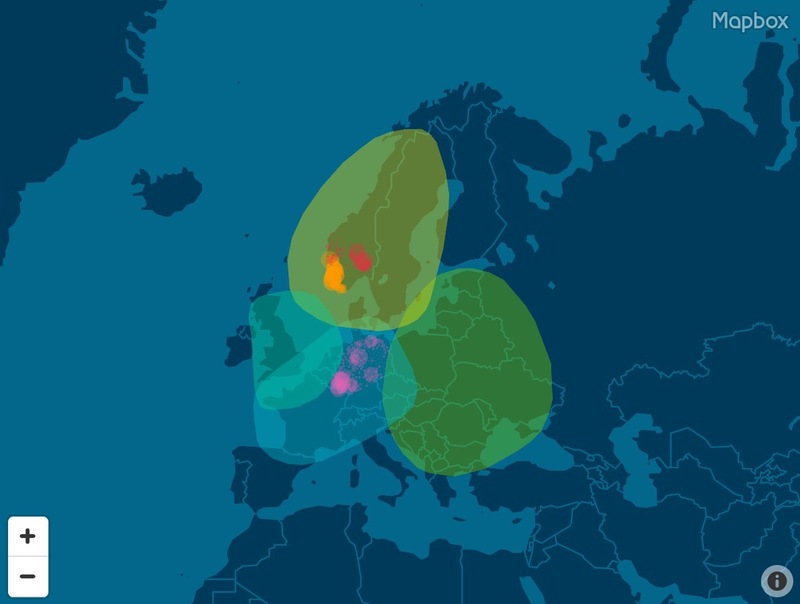 Stavanger is on the southwest coast of Norway and the epicenter of the yellow dots of my DNA. Last years DNA information stated I was 45% Scandinavian and the new information reaffirmed my Norwegian heritage. The red dots in Norway help me understand a blending of my Norwegian heritage. Gathering family from the Oslo area and intergrading thru marriage into the Stavanger area. Yep, Lutafik and Lefsa should be on my table for dinner each night, and the word “Uffda” should be uttered in every third sentence as I speak. The purple dots in Germany are in the western part of Germany. There is a heavy concentration near the borders of Luxembourg, France, and Belgium. I know some of my Father’s family is from this region but that might be misleading. I have no information on my Grandmother’s family on my mom’s side. They were from Germany but I don’t know where in Germany. I found the new information interesting and as I scrolled thru the time blocks, it showed me the migration of my family over the last 300 years. I next choose Dad’s DNA results to view and to my amazement his Genetic Community were not in Europe, it was already here in America. He had 2 Genetic Communities. The first community was the Early Settlers of New York and he second being Early Settlers of the Northeast. It follows the research I have done over the years. Many of our ancestors were from New Jersey, Massachusetts, and Connecticut. 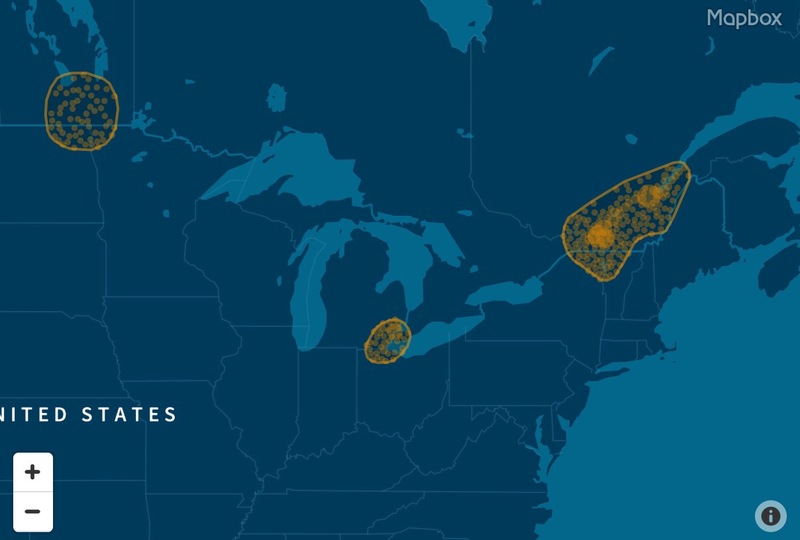 With Dad’s ethnicity being 45% Great Britain it makes sense that his ancestors were from the New York and New England regions. This information was showing how our ancestors, on my father’s side, have been in America for the last 300 years. This also gave me a moment of pause. The purple dots on my German community were probably not from my dad. The dots may have been from my mother’s side and may given me a helpful hint to my Grandmother’s families. Maybe they are from western Germany. This is my first clue to where they may have immigrated from in Germany. I may not have a town but I have a region in Germany to start looking. The third person’s DNA I opened was my wife’s. She is a full blend of Western and Eastern Europe. Her Genetic Community was a little harder to access. There were no dots on her map. As I clicked around on her DNA page I found her Genetic Community. She is not from Europe but from the Early Settlers of the St Lawrence Seaway. Again it fell in line with my research. Her Grandmother, on her father’s side, is a long line of French-Canadian ancestry dating back to 1600. There wasn’t any hint of my wife’s mother ethnic circles. So my wife acquired her Genetic Community from her father. I also know her Grandfather on her father’s side is of English decent and it doesn’t appear as one of her Genetic Communities. But after a few days my wife’s dots on the map appeared. The heavies concentration was in the Quebec and Montreal areas along the St Lawrence River. There was also a very interesting circle on the map. It appeared in the Winnipeg area. Does that mean my wife has 8th-10th cousins who are descendants of the French Voyagers of North America? Interesting tale to be told. After a few more days passing, her DNA community changed again. She is now in a community of Early Settlers of Montreal and Detroit Metro. The last person’s DNA I viewed was my Mother-In-Law’s. Her ethnic circle was in Eastern Europe. Her father was Slovenian and her mother Polish. The Genetic Community didn’t disappoint me. There was a large number of yellow dots covering Slovenia with a concentration in the community where her Grandfather and Grandmother immigrated from in Slovenia. My Mother-In-Law also had a second community in the Pomerania region of Poland. This area is in the north central part of Poland. I found it interesting my wife didn’t have any Slovenian community in her DNA. But I didn’t have any New York or Northeast settlers in my DNA like Dad. The biology of DNA says we inherit half of our DNA from our mother and half from our father. These results are showing me it isn’t a true 50/50 inheritance. It makes me wonder which Genetic Communities my siblings and my wife siblings would belong to if they were to do a DNA test. My siblings could belong to a community from Norway, Germany, Prussia, or New York and the Northeast like my father. My wife’s siblings could belong to a community from Slovenia, Poland, French Settlers on the St Lawrence or an English community descendanted from England. Probably the the most intriguing discovery I have uncovered, and am willing to investigate farther, is a a genetic relationship I have with a 2nd cousin on my father’s side of my genealogy. When I look at my Father’s New York Genetic Community I can see his cousins, WL and LB. Also there there is a daughter of WL named SM. All four of these people are a part of the New York community and I am not. When I look at my communities and click on the Western Norwegian Genetic Community I see SM. My Father and his cousins are double cousins. Their mothers were sisters and their fathers were brothers and there was no Norwegian bloodlines in those families. So SM has inherited her Norwegian DNA from her father and the information has lead me to the conclusion that my Mother and SM’s Father must be related! What a new twist on the family research. This is going to be an ongoing search to fact check this new discovery. I know my Mother’s family has limited information but I am hoping SM’s research will open some new insight into my Mother’s family. Stay tuned for more genealogy discoveries! Way back when I was in elementary school I remember my teacher asking the question, “Do you know anyone who had received a patent?” Maybe one or two classmates would raise their hand, but for most of us our hands remained on our desks. As a class, over the next week we would try to think of a new invention or rework an invention. I don’t remember any of my thoughts on any inventions. Over the last few years Dad has told the story of him and his brother Bob telling their uncle Ray about a new corn head they had purchased for their New Holland chopper. The corn head is used to harvest standing corn and feed the stalk into the chopper. The chopper chops the corn plant into small pieces. Then the pieces are blown into a silo where they will ferment and be come silage for cattle. As they told Ray about the cutting mechanism Ray said, “Where the hell is our money?” Dad and Bob didn’t know what Ray was talking about. Then Ray told them how their Great-Grandfather Courtland Bird had invented that very cutting mechanism. I started think about that story and one day I did a little research on the internet looking for Courtland’s patent and I found his patent. It was titled “Cutting Mechanism of a Corn Harvester.” I looked over the drawings and noted the patent drawings where of two designs. The first design was a friction drive. As the cutter would approach the corn stalk, the stalk would slip between two sharp disc cutting it just above the ground. 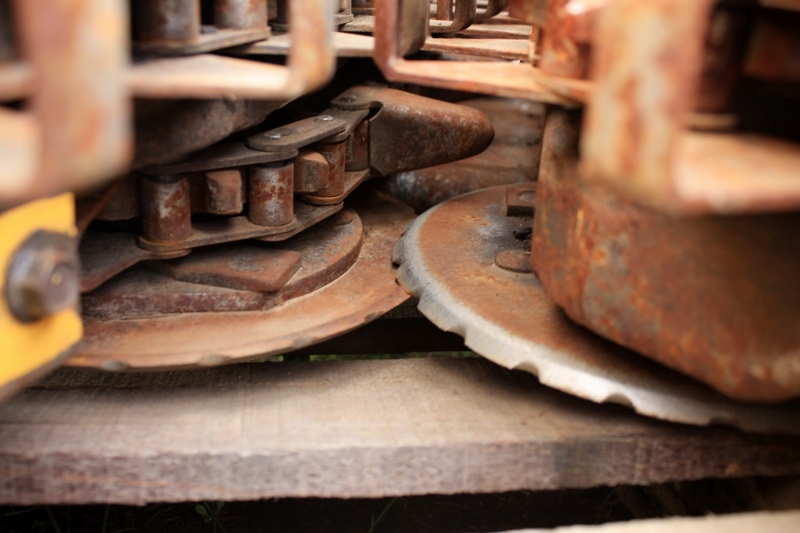 The second was a mechanical drive of the cutting wheels. The drawing doesn’t show how the discs were driven, but I assume by one of the wheels. 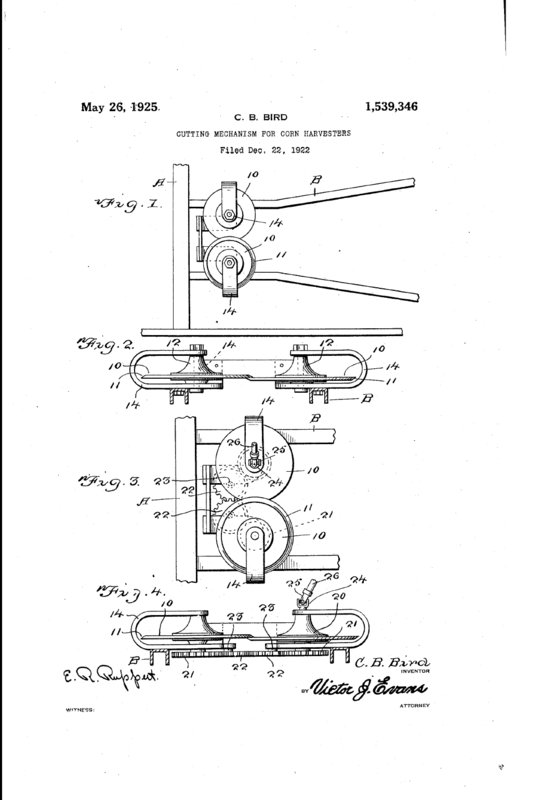 Today is the 90th anniversary of Courtland’s patent. When Courtland designed this idea it was designed for the corn binder. The conventional way of cutting the corn stalk on the corn binder was using a short sickle moving back and forth cutting the stalk close to the ground. I took a look at Dad’s New Holland 824 corn head and noted their design. The corn head of today uses two disks with a mechanical drive design. New Holland drives their disc cutters with a chain being powered by the gathering chains on the head. The only improvement I noted was that New Holland notched there discs. I also stopped by one of the local implement dealers and looked over their collection of corn heads. I also saw a Case head sitting there and saw it too used a disc cutting mechanism. I guess my 2nd Great-Grandfather was ahead of his time and we are still farming with him every time we put up corn silage. For my years Dad has talked about taking us, his children, on a tour of the cemeteries were our ancestors are buried. Many years ago his Uncle Ray did the same for him. One day the two of them jumped into the car and started traveling the back road of Dunn County Wisconsin stopping at the cemeteries of family members. Ray would take Dad over to the burial site and show him the headstone and tell him the family story’s of their lives. Dad has wanted to past on those stories to us, his children. So we finally set a date and went on our tour of these cemeteries. Dad thought it was important that we all stayed together. If we traveled by car we would be taking several vehicles and we wouldn’t be able to share stories between stops and ask questions. The first order of business was to find a vehicle big enough to carry 15-25 people who had shown interest. In the end the final number on he tour was 12. What we did was rent a school minibus from the local school bus company. When we told the person in charge what we were doing he said their family was going to be doing the same thing a couple of weeks later. We had chosen the Saturday of Memorial Day weekend to do our tour and we were all told to be at Dad’s at 9 am. The day was perfect. The skies were clear and a breeze was in the air. The temperature was comfortable so in the cemeteries you weren’t cold and on the bus you weren’t too hot. We were armed with cameras and video cameras to record the details of the tour. We loaded on the bus and off to the first cemetery on our tour. 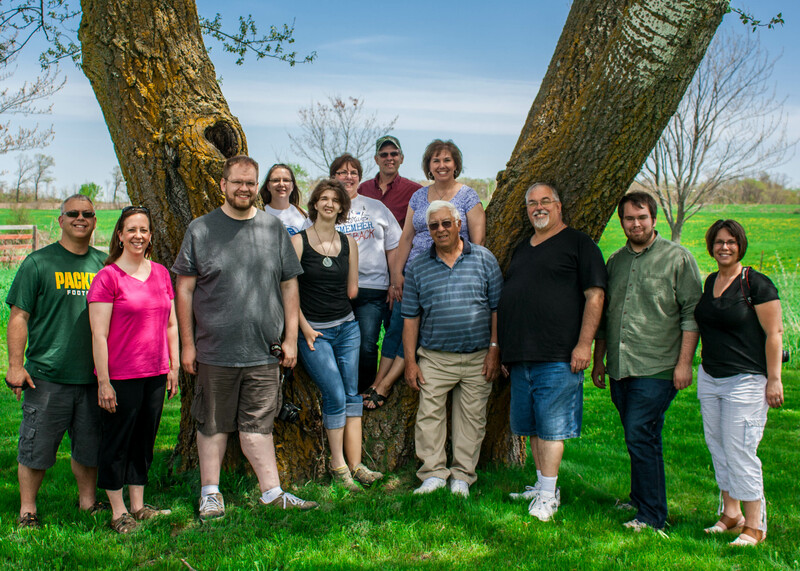 The tour was laid out in a loop and not in chronicle order, so the stops would be jumping from my Dad’s side of the family to my Mom’s side of the family and up and down the genealogical lines. The first stop was at Sherman Cemetery. This is where many of my Dad’s fraternal ancestors are laid to rest. He led us down the hill to the center of the cemetery were his parents and grandparents are buried. In the set of 8 burial sites are also his Uncle Ray and Aunt Florence. There is a seventh person buried there also, my Dad’s sister, Barbara. He told us the story of Barbara and how she only lived for only 2 hours. He continued the story in telling us that his dad and grandpa had built the coffin and his mother had lined the coffin for Barbara. Dad and his brother Bob found a receipt many years later, after their mother died, for the purchase of the headstone. The stone wasn’t bought at the time of the death but years later. 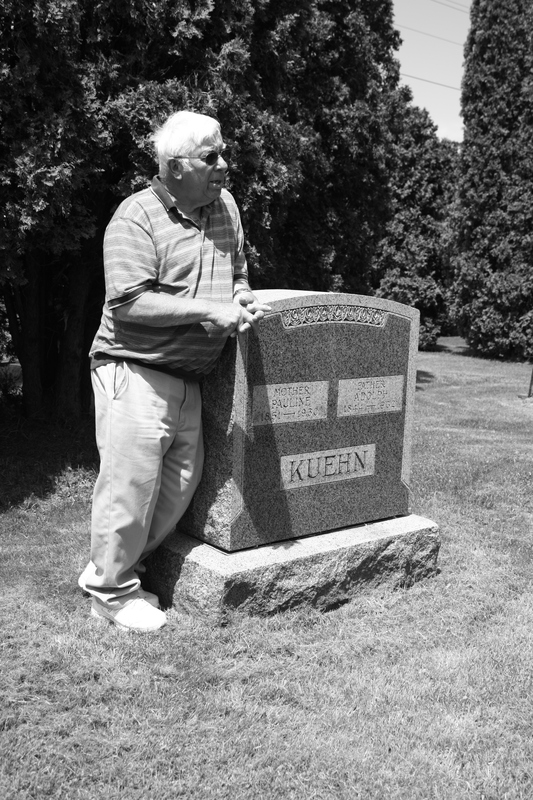 He continued his stories of other family members at Sherman Cemetery. We all loaded back on the bus and off to the next cemetery where his great grandparents are buried and told us of their lives. This was a short stop but it made me realize in my family tree software I need to record the GPS coordinates of the burial sites. Dad had thought they were on one side of the cemetery and they were on the other side. The other thing I thought was to take a satellite photo and circle the burial sites for other family members doing research on the family tree. A small cemetery you could find a stone in 15 minutes but a bigger cemetery, hours and still miss the headstone and find yourself walking away disappointed. The next two cemeteries were of my Mother’s family. 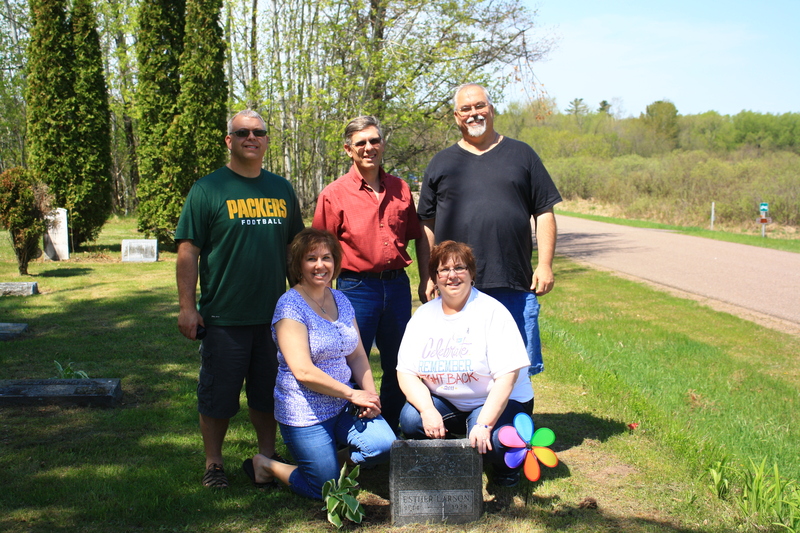 We stopped at the site of my Grandma and Grandpa Newman. These people were not my Mother’s biological parents, but her aunt and uncle. My Mom’s mother died the day mom was born and these were the two people who raised my mom and we came to know them as Grandma and Grandpa. My Grandmother is buried at the same cemetery and we walk over to her site and Dad talked about her and how after her death my Grandfather was getting a lot of grief from the family and so he just left my mother behind and he moved on with his life. We moved on to the 4th cemetery outside the small town of Ridgeland. This was a little cemetery on the edge of a state highway. You could see how the state had moved the road slightly and had given up the roadway rights to keep the cemetery intact. After locating the stones Dad told us of our 3rd grandparents on my mom’s side. When we got back on the bus my one sister said she needed a restroom. As we got into town we stopped at a gas station and some of the family went in. A person ask Dad what we were doing. Dad told them about the tour and had mentioned that Mom was raised in Ridgeland. The person responded by telling Dad who owned the place were Mom was raised. We stopped by the landlords home and ask permission to visit the home and the lady said yes. We headed out of town to the home were Mom was raised. Dad told us the structure was the same as it was 75 years ago with updates to the siding and windows. We headed back to Dad’s home for lunch and said goodbye to the bus. After lunch we traveled in several cars to the final three cemeteries. 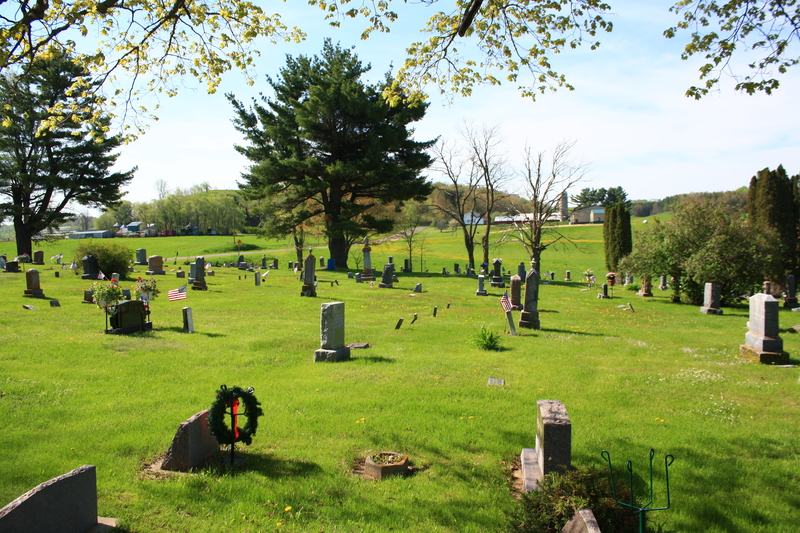 The first one was Teegarden Cemetery. This is where my Mom is buried and my Dad’s grandparents on his mother’s side. There is also extended family buried at Teegarden. Dad talked of those people and their lives. Dad also told us when he was a kid, him and his family mowed the cemetery for several years. The next cemetery we stopped at is next to my home. 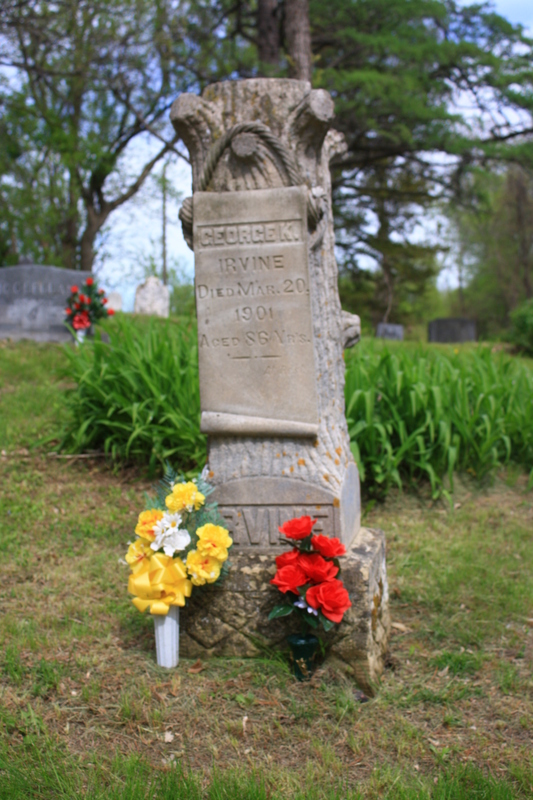 One of my 3rd grandfather’s, George Irvine, is at rest in that cemetery. Dad talked about him and how the nearby town of Irvington was named after him. He told of his travels from Iowa to help a local lumberman perfect his sawmill. He was offered a partnership in the sawmill but he declined and opened his own sawmill. George also received land from the government under a land patent in the late 1800’s. We wrapped up our stop and down the road to the final cemetery. The last cemetery is the resting spot another set of my 3rd great grandparents and many of their children. Nathanial was a man who started new homesteads. One of his old homesteads is in Eau Claire and is on a busy intersection on the interstate. Another homestead is in Dunn county just a few miles south of my home. One time when I was with Dad he pointed to a farm he thought was Nathanial’s farm. As I did research I found out my Dad was wrong. The land that was granted to Nathanial was right next to the county road that I travel and his wife was granted the next 80 acre parcel. I found this information on the BLM website. We headed back to Dad’s and us children headed back to our home’s. This was a good day. It left my with a hands on walking tour of my ancestors and also more questions of my family. I will continue the research on my ancestors and their family members. If you ever have a chance to explore your ancestors, do it! The group at the home where Mom was raised.